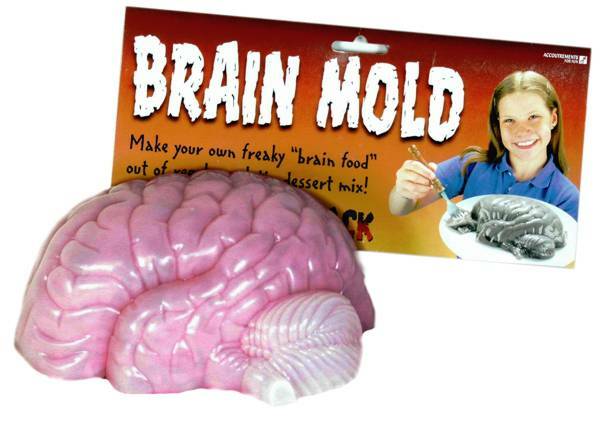 As you will remember, Brain Gym is a set of perfectly good fun exercise break ideas for kids, which costs a packet and comes attached to a bizarre and entirely bogus pseudoscientific explanatory framework. They tell you to rub either side of your breast bone, in a special Brain Gym way called Brain Buttons: “This exercise stimulates the flow of oxygen-carrying blood through the carotid arteries to the brain to awaken it and increase concentration and relaxation. Brain buttons lie directly over and stimulate the carotid arteries.” Through your ribcage. Without using scissors. They’re keen on drinking water. Fair enough. But why? “Processed foods,” says the Brain Gym manual, “do not contain water.” Is there water in soup? No. “All other liquids are processed in the body as food, and do not serve the body’s water needs.” This ridiculousness comes at very great cost, paid for by you, the taxpayer, in thousands of state schools. It is peddled directly to your children by their credulous and apparently moronic teachers. If you like scandals, then this is one. The very same person who tells your child that blood is pumped around the lungs and then the body by the heart, is also telling them that when they do The Energizer exercise then “this back and forward movement of the head increases the circulation to the frontal lobe for greater comprehension and rational thinking”. Beyond the stupidity of some headteachers, how has Brain Gym survived? A clue can be found in a set of experiments from the March 2008 edition of the Journal of Cognitive Neuroscience, which elegantly show that people will buy into bogus explanations much more readily when they are dressed up with a few technical words from the world of neuroscience. Subjects were given descriptions of various psychology phenomena, and then randomly offered one of four explanations for them: the explanations either contained neuroscience, or didn’t; and they were either good explanations or bad ones (bad ones being, for example, simply circular restatements of the phenomenon itself). A “with neuroscience” explanation – and a cruddy one too – was this: “Brain scans indicate that this [overestimation] happens because of the frontal lobe brain circuitry known to be involved in self-knowledge. Subjects make more mistakes when they have to judge the knowledge of others. People are much better at judging what they themselves know.” The neuroscience information is irrelevant to the logic of the explanation. The subjects were from three groups: everyday people, neuroscience students, and neuroscience academics. All three groups judged good explanations as more satisfying than bad ones, but the subjects in the two non-expert groups judged that the explanations with logically irrelevant neurosciencey information were more satisfying than the explanations without. What’s more, the bogus neuroscience information had a particularly strong effect on peoples’ judgments of bad explanations. As quacks are well aware, adding scientific-sounding but conceptually uninformative information makes it harder to spot a dodgy explanation. More clues can be found in the extensive literature on irrationality. People tend, for example, to rate longer explanations as being more similar to “experts’ explanations”. There is also the “seductive details” effect: if you present related (but logically irrelevant) details to people, as part of an argument, that seems to make it more difficult for them to encode and later recall the main argument of a text, because attention is diverted. And more than all this, the public – although not scientists – express a rather Victorian fetish for reductionist explanations about the world (“expensive fish oil pills solve complex social problem in schools” being my favourite example). The neurosciencey language in this new “bogus neuroscience explanations” experiment – and in the Brain Gym literature – make us feel as if we have been given a physical explanation for a behavioural phenomenon (“an exercise break in class is refreshing”): we have made the behavioural phenomena feel somehow connected to a larger explanatory system, the physical sciences, the world of certainty, graphs, and unambiguous data. Like descriptions of genetic risk factors for violence, this is a partial explanation, but it is not an excuse. Headteachers are still peddling Brain Gym across the UK. And I am writing all your names in my naughty book. The original paper is great, free to access, and has some cracking one-liners. Read it. Here is a serious paper looking at the ridiculous neuroscience assumptions behind Brain Gym (rather gratifyingly they reference me in it, I’ll have to crowbar that into my RAE). Brain Gym[R]: Building Stronger Brains or Wishful Thinking? The number of mentions for Brain Gym on government websites is truly eye watering. I had no idea we had so many morons in high places. Teaching children. Here are two excellently cheeky kids demonstrating what happens when you do the incredibly powerful “Brain Buttons” exercise the wrong way around. You’ll have to turn the sound up, I like the bit where they say “yes, mm, and the scientists proved all this in 1985”. Meanwhile here are some teachers taking Brain Gym much more seriously. Do you want to know what they’re doing? 4) Thought the movements may be an excuse for a 2 minute break from sitting down too long. 5) Sometimes get kids moving around doing simular things to brain gym when they have been heads down for 20 Mins Plus. JUST to give their body / mind a break. 6) Constantly PERPLEXED at the RUBBISH some educationalists PREACH to Teachers who THEN REPEAT rubbish. 7) Education / Learning is simple, If you do something often enough you are able to recall it (Facts or actions), if you practice problem solving, you get good at using and finding new uses for existing skills. A Footballer is good at football and plays well because they practice and have an interest in the game. The same can be said of Scientists, or even belly dancers. As we get older the physical limitations of our bodies will eventially cause decline. That’s Life ! I’m a Neuroscientist who is going into teacher training. I will certainly refuse to teach this rubbish, unless it’s part of a critical thinking exercise! All I can say is…BRING IT ON!!!! I will not let my noble discipline be abused and misrepresented by this tosh! Scientific theories only attempt to prove something does NOT exist. Therefore, any anecdotal beneficial evidence that remains is thus discarded and it is left to parents who need it to attempt to educate so-called professionals of the value of brain-based sensory integration education. I have been a proponent of this for years. Crossing midline grows and strengthens the billions of connections in the corpus callosum, the part of the brain that connects the left and right hemispheres and is responsible for communication and comprehension. How do I know? I am raising a child without one. He can walk, talk, eat, communicate, and do all other things requiring a corpus callosum. How so? Using sensory integration practices, of which “smart Moves” and “Brain Gym” are all a part of. See my website at www.omnibuswring.com. I am writing my own eBook; it has just taken this long (10 years) as I am raising my son to the best of my ability, given naysayers in the school system. Brain Gym? Ha ha ha. An actual brain gym, for me, would be a combination of logic and lateral thinking puzzles. I want that rolled out across the country.